Hooray! I threw together an LTSpice simulation of the clock circuit from part 4, and it does what I thought it did! That's interesting! It does remain low when M1's gate is high (so M1 is off), although it does rise up a few hundred millivolts depending on whether P14 is high or low. 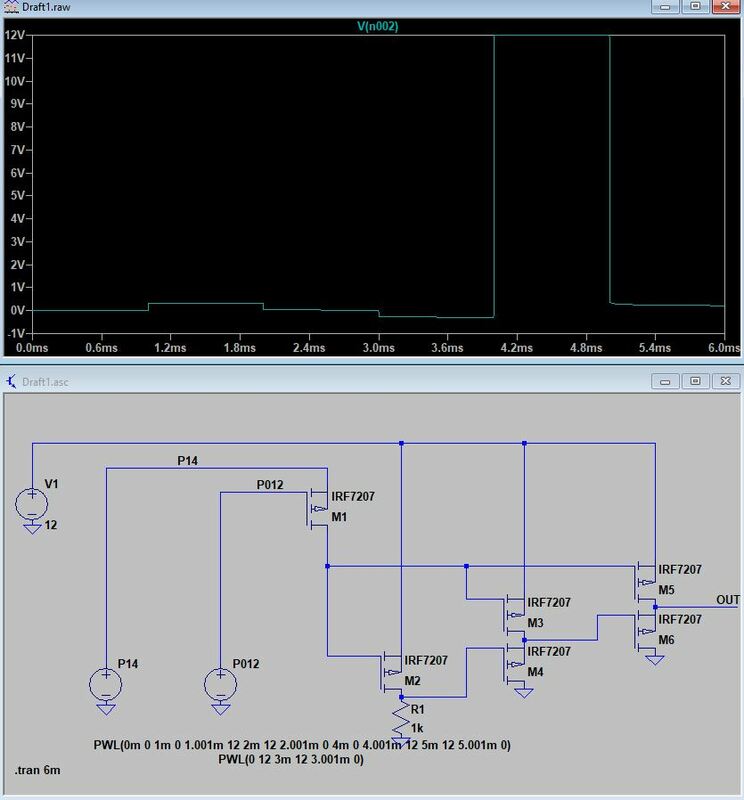 In any case, simulating small parts of the chip like this is useful. It also gives confidence that if I make a printed circuit board for the circuit, it should work, barring some unforeseen integration issues. The progress map now. Note that the unmarked section in the middle right is just interconnections.